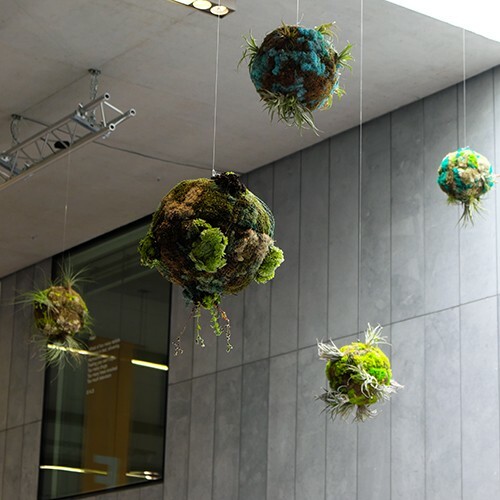 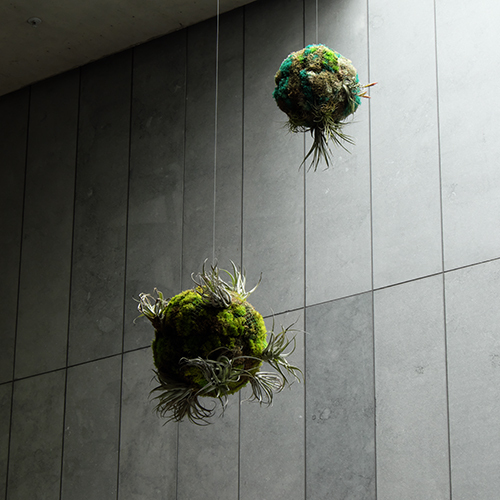 Living orbs made using air plants, soil based plants, preserved and live mosses, wire. 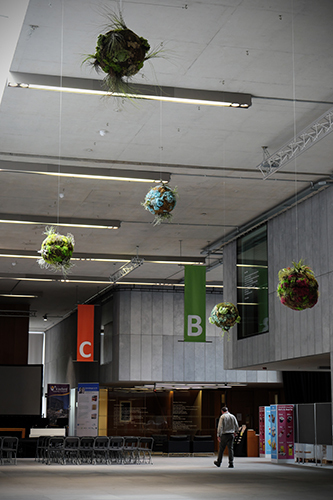 Ranging from 30 – 50 cm diameter. 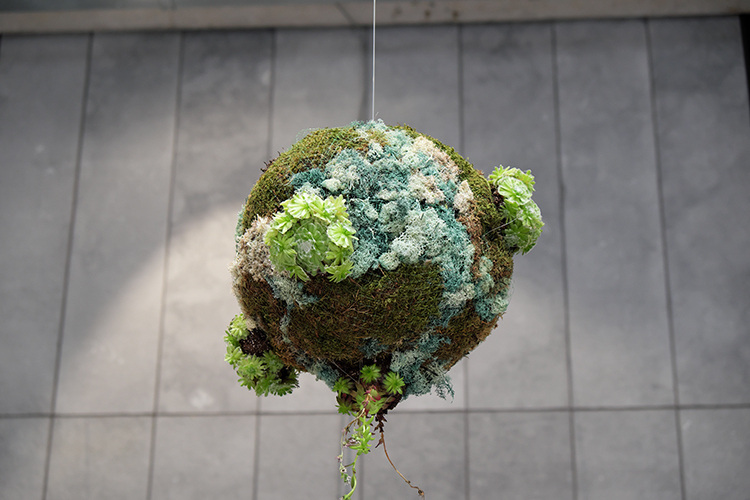 Biosystem V by Méadhbh O’Connor commissioned for the group exhibition What is Life? The exhibition marked the 75th anniversary of, and took its title from, Erwin Schrödinger’s seminal lecture series delivered in 1943 in Trinity College Dublin during Schrödinger’s directorship of Theoretical Physics at the Dublin Institute of Advanced Studies, Ireland. 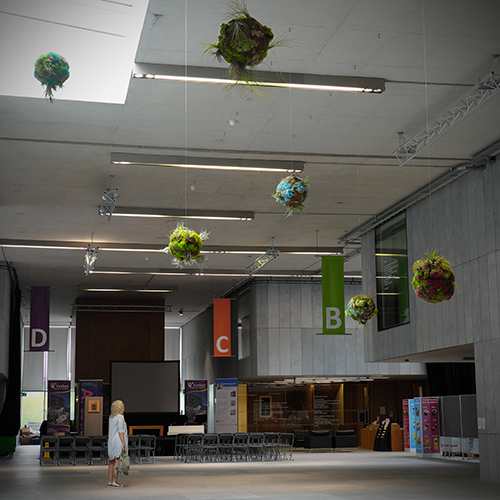 The exhibition, curated by Deirdre Southy and Catherine Bowe for Wexford Arts Centre and Wexford County Council, was a partnership with Prof. Cliona Farrelly, Professor of Immunology at Trinity College Dublin (TCD), on the occasion of the conference Schrödinger at 75 -The Future of Biology (this symposium was organised by TCD and held in the National Concert Hall in Dublin, September 2018). 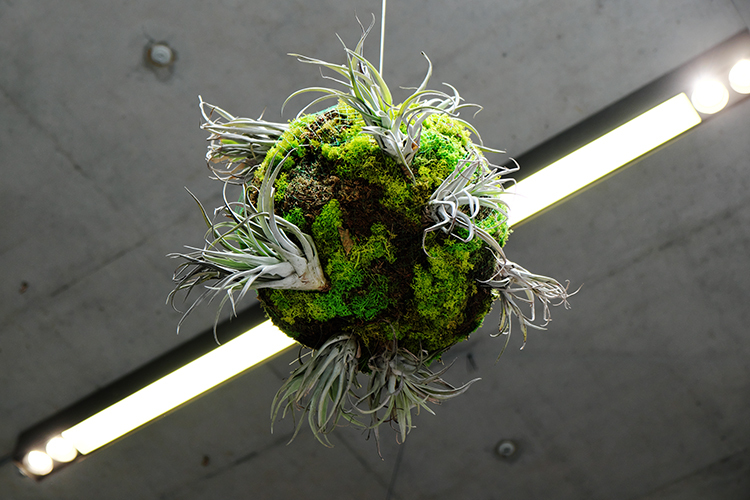 The exhibition evoked the spirit and potential of cross-disciplinary inspiration and communication, of which Schrödinger’s pioneering influence as a theoretical physicist on the future of genetics and biology, is a beautiful example. 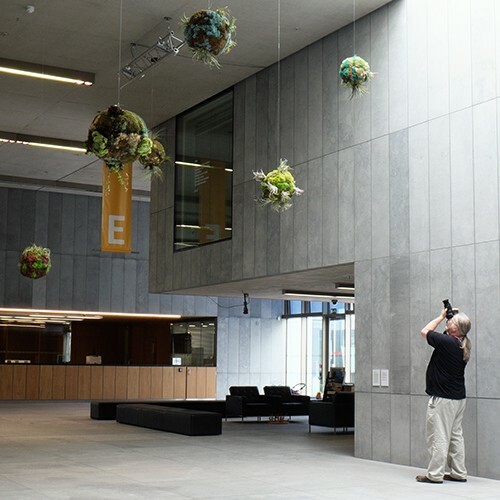 With artists Vera Klute, Méadhbh O’ Connor, Bea McMahon, David Beattie, Eleanor Duffin, John Cullen, Maria McKinney, Gerda Teljeur, Andrew Kenny, Fergus Doyle.